Looking to buy a gift for the person that has everything? Why not buy them a gift that keeps on giving! 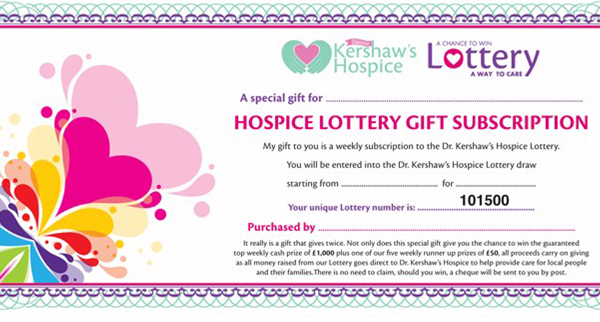 Dr Kershaw’s Lottery Gift Vouchers start from as little as £10 and are available for all occasions. Our weekly jackpot prize is £1000. Gift voucher is supplied in a wallet. The voucher can be sent direct to the recipient or to yourself to personalise.